Burgers. A love hate relationship between TLH and burgers is ever strong, which I have never shied away from. TLH started off as my baby because I had a preference for the finer food in life, aside for burgers. 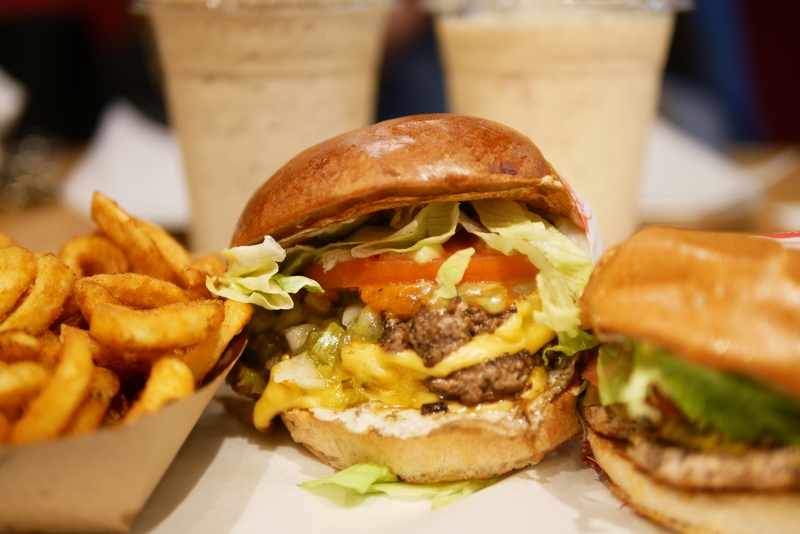 But I love it when I get proved wrong time and time again – My realisation point when I go to places such as Fat Burger is that burgers can be fine dining too! It was that one day of Summer in London (23 degrees to be precise) where the whole city came out to play. My friend and I had decided we’d eat some good food, get our sunnies out, go sit in a park and get a tan before it was time to get the coats out again. My friend an hour late as usual, ensured that I was starved to my limit, so as we walked around Camden looking for some food, we came across Fat Burger. 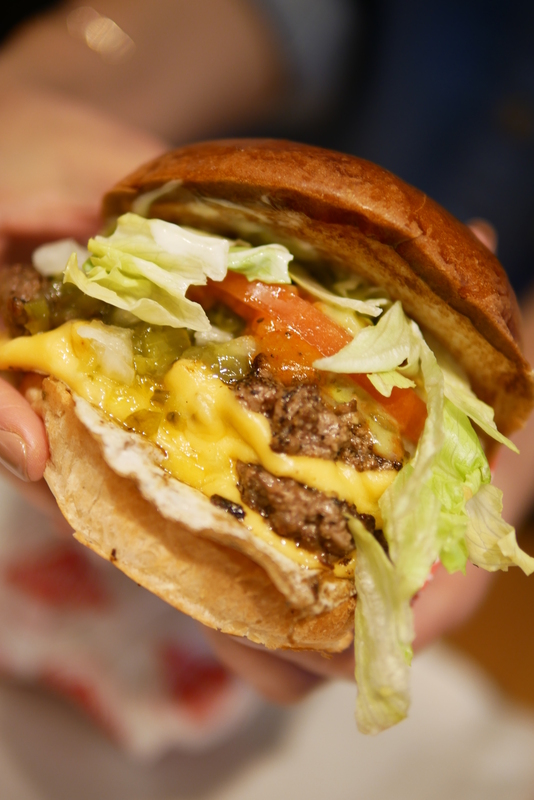 When you’re as hangry as we were, a burger sounded like an amazing idea. We ordered a Turkey burger and the double cheeseburger, with curly fries and milkshakes. The cheeseburger was EPIC. Look at that cheese and meat – I have to say, I’ve been to a few burger places but their meat, even though was great in size, but lacking in taste. But the double cheeseburger at Fat Burger was probably one of the best I’ve had. Succulent, juicy and tasty as well as being decent in sizer made for a great burger. Exactly what we needed at that point. The turkey burger was okay but not great. I should have gone with my gut (literally) instinct and stuck to the cheeseburger. The turkey burger was good, but nothing to write home about. 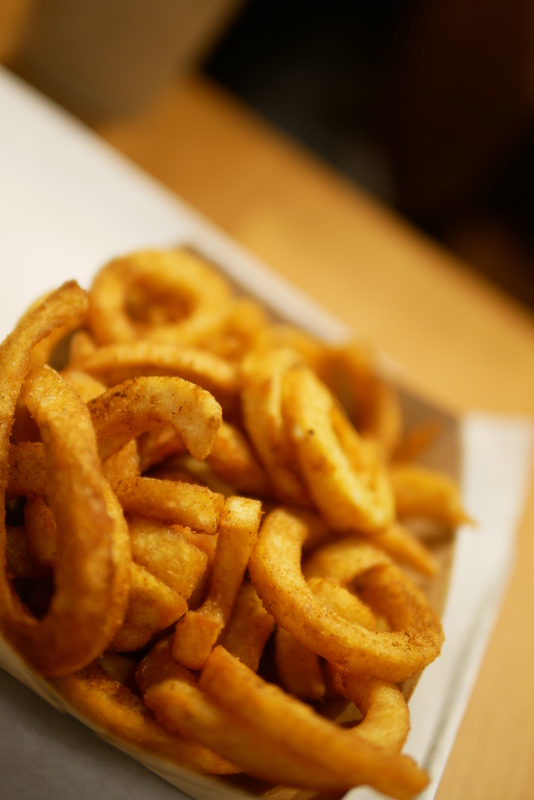 Curly fries get my vote over normal fries any day and these at Fat Burger were some of the best curlies I have had. Must have! The service was a little slow but when the burgers came out, as my drool hit the table it made it all worth it. The interior was very clean and more restaurant like than most burger bars. It definitely was not a McDonalds that’s for sure! 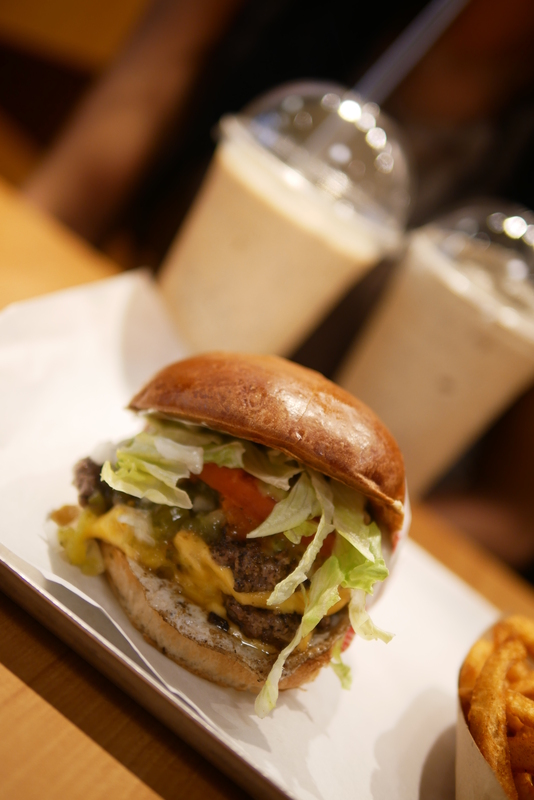 Overall, giving Fat Burger UK a total TLH score of 7.5 out of 10. Halal Status: Everything is halal.